About vera: Vera, female Rat terrier, 12 yrs. 15 lbs. Vera was abandoned when owners moved away. Neighbors called us and said owners had been gone for three weeks!! Vera came in covered in fleas and a bit bedraggled, but she has perked back up. 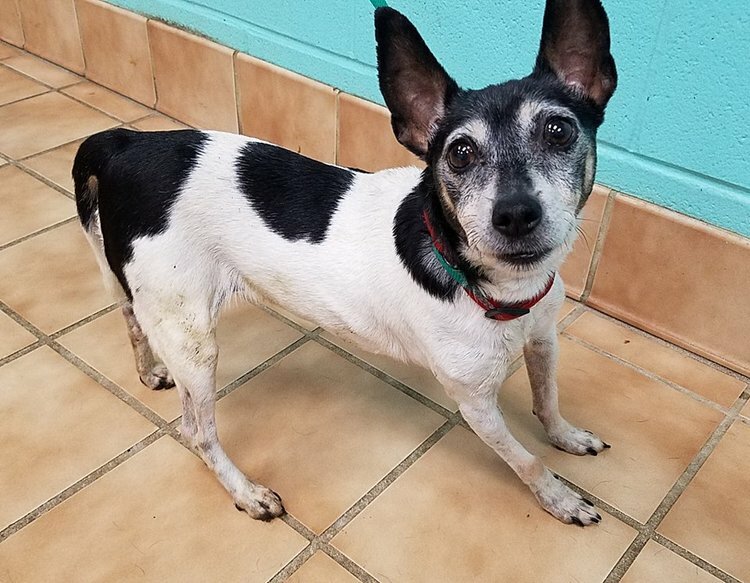 Vera is a sweet old gal who loves to go for walks and gets very excited when it is her turn for attention. She is in need of a dental and also has some swaying of hips and luxation in her back legs.